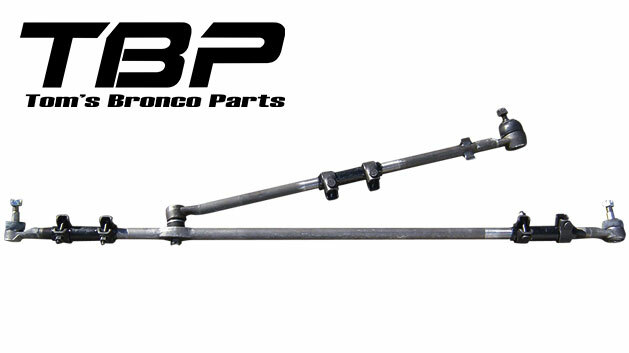 T-Style Steering Linkage Conversion Kit for 76-77 Classic Ford Broncos. 3 way adjustable also works w/ knuckle over conversion. Pitman arm at steering box will have to be reamed out or replaced to accomodate larger tie-rod end.